A photographer friend of mine in Paris turned me on to Embryolisse, as the French call it, about eight years ago. Yes, it’s that cool — like Madonna — that it only needs one name. 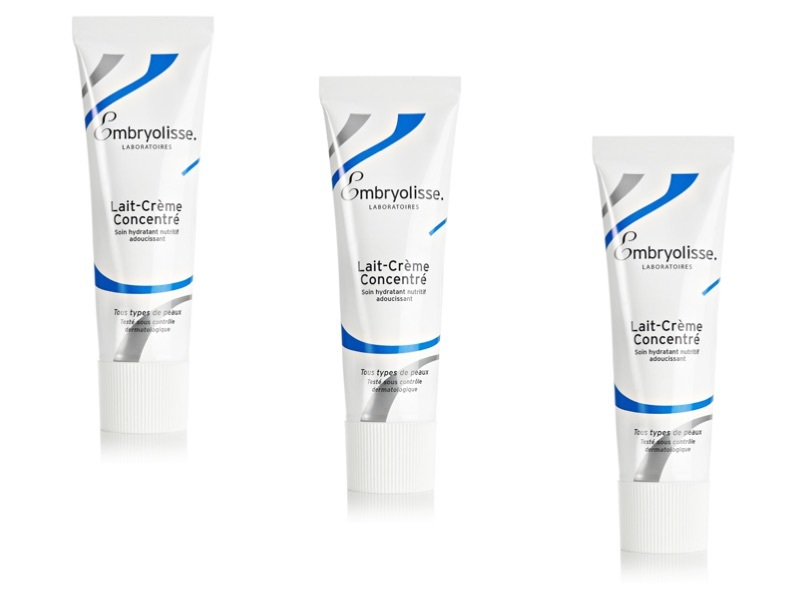 Embryolisse Lait-Crème Concentré is the full name and it’s a multipurpose wonder cream of sorts. So, no, I didn’t just discover this weekly must-have, but I did rediscover it… on my latest trip through the Net-a-Porter website. I’m very happy to see that Embryolisse has made its way stateside and is now being sold through Net-a-Porter, Birchbox, and even Target for a very reasonable $16. Way to go euro to dollar exchange rate! A Parisian secret, Embryolisse Cream is a must-have on photo shoots, said my photographer friend. Apparently, makeup artists use Bioderma Crealine H20, another french find that has made its way to permanent resident in my beauty cabinet (click here for a recap), then prime the skin with a dab of the Lait (meaning milk) cream before applying makeup. This magical face cream is suitable for all skin types, including sensitive and acne-prone. It’s packed with essential fatty acids and vitamins and is dermatologist recommended. It plumps, soothes, and softens the skin while creating a satiny finish. In fact, it’s touted as the cream that primes, hydrates, and removes makeup! While I recently fell back in love with the gentle moisturizer, this is definitely a cream worth shelling out a twenty for, as it’s the perfect choice for a year round hydration primer. If your skin is on the drier side, mix this with a heavier cream for the creamy, silky, dewy effects. *Read all of my favorite french pharmacy finds here.